After so many years of preparing for the process of applying to medical school, many med students don’t actually know what to expect during medical school. Here’s an overview of the medical school requirements so you can move from first year to residency. The first two years of med school will likely seem very similar to your last two years of undergraduate or your post-baccalaureate program. Much of your time will be spent in the classroom and the lab, and the courses you’ll take will give you all the fundamentals you need to start learning the art of medicine and patient care. They will also prep you for the first of your licensing exams, which you must pass to move on to the third and fourth years of medical school. After you complete your first two years of school, you must take Step 1 of the USMLE, which measures your ability to understand and apply basic science concepts to medicine. One of the biggest mistakes that med school students make is not taking advantage of the NBME practice tests. Use them to help you know where your strengths are and where you need to focus to improve. And, yes, you can retake the test if you need to, but you’ll save yourself significant anxiety and frustration if you fully prepare before taking the exam. Once you have passed Step 1, you’ll still take classes but also begin rotations in hospitals and clinics. Typically, third years rotate through the fundamental specialties that all students need to learn. However, during your fourth year, you may be able to choose rotations in areas that interest you. This will help you when you begin the process of applying to residency programs late in your third year or early in your fourth. A major part of your residency application is the essay. Therefore, as you go through your rotations, take notes about meaningful interactions with patients as well as aspects of why each specialty appeals to you. You’ll need this information to create an effective essay for residency matching. Also, the residency selectors will expect you to be able to explain why the specialty is a good match for your personality and goals as a physician. Do you have excellent manual dexterity? Surgery might be right for you. Do you enjoy solving puzzles? You might have a home in internal medicine. Were you fascinated with frozen section? Maybe you should be a ‘physician’s physician’ as a pathologist. Whichever path you choose, your residency personal statement will need to show passion and that you’re a good fit for the specialty. Interviews for residency usually occur from December to February of your fourth year, and matches are announced in March of your fourth year. Near or at the end of these last two years, you must take and pass Step 2 of the USMLE, which evaluates your medical knowledge and diagnostic and clinical skills. Your scores on this exam, as well as those from your first exam, play an important role in your residency placement as they are often used by medical schools to rank their residency applicants. Usually, students take Step 3 of the USMLE during residency, but you won’t need to take it right away. Depending on the state in which you are seeking licensure, you’ll typically have seven years from the time that you took Step 1 to finish Step 3. At that point, you will officially be licensed as a practicing physician. This is a huge accomplishment, and it marks the end of your time as a student and the beginning of your journey as a doctor. 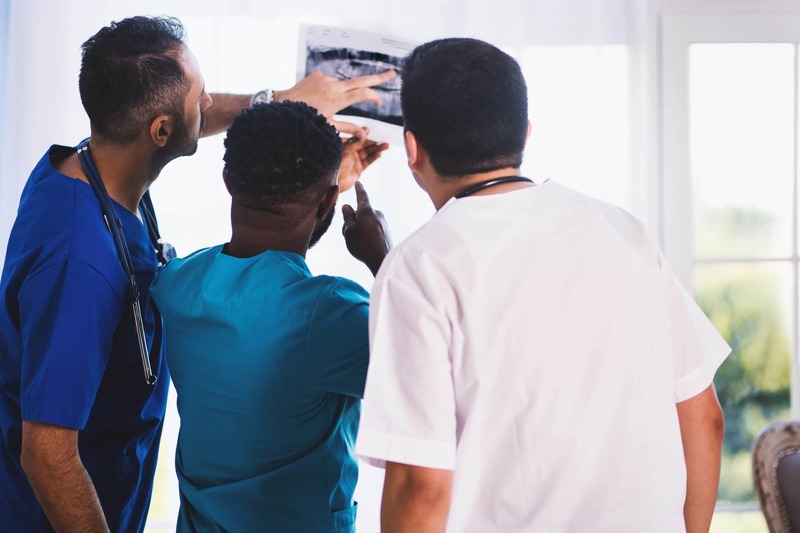 However, each patient provides an opportunity to learn more, and many physicians consider to chance to be a lifelong learner as one of the benefits of a career in medicine.